How do I take bookings on my listing pages? The Listify theme integrates with many different online booking management systems so that visitors to the listing page can book appointments with the business/service. Currently we support the following booking management systems. 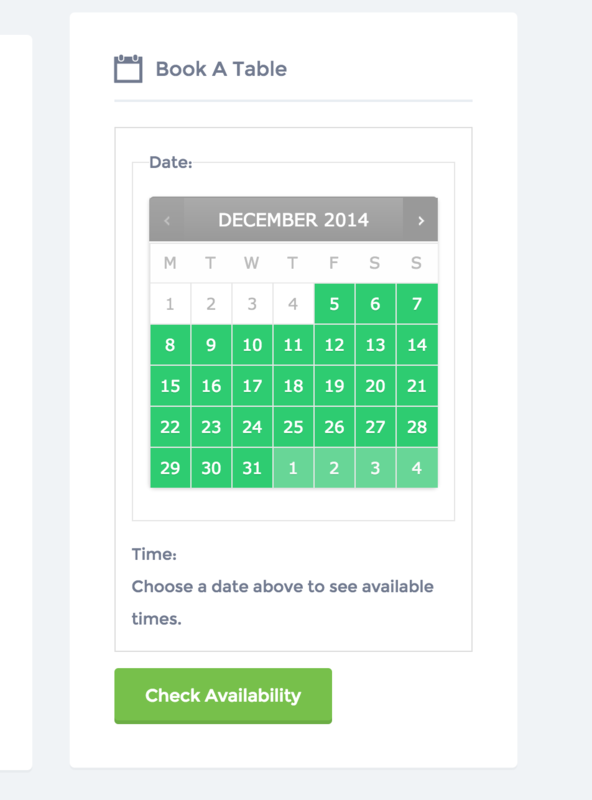 There are two different styled options in the Listify theme for displaying the booking reservation forms. 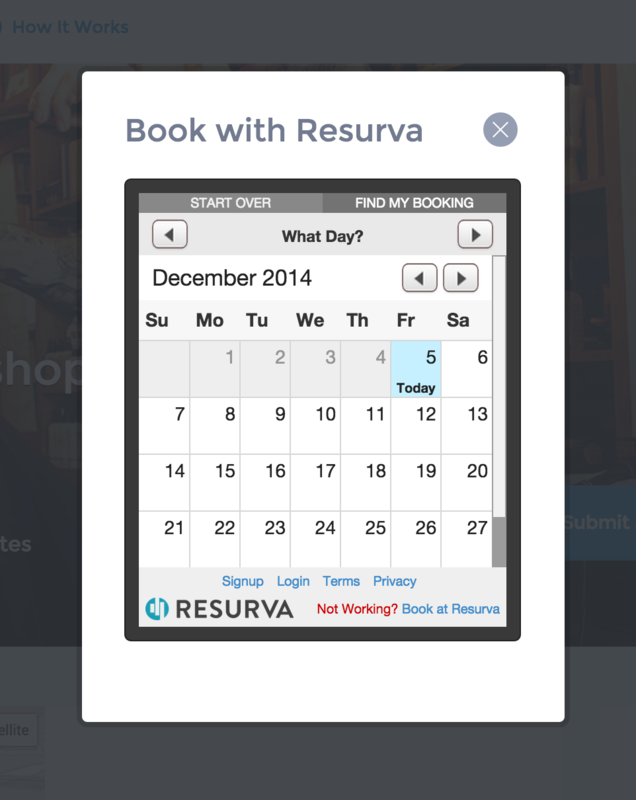 When using a SaaS (Software as a service) such as OpenTable, Resurva the booking reservation form will look like this. When you have WooCommerce Bookings (Plug-in sold separately) installed and WP Job Manager - Products (plugin sold separately) and the booking reservation widget placed on the sidebar of the listing widget area it will display like this. When you have WooCommerce Bookings (Plug-in sold separately) installed and the booking reservation widget placed on the sidebar of the listing widget area it will display like this.